City of Bogo: Cityhood Case - Bogo and 15 others - a good sign. The employees of the City of Bogo were called by Mayor Junie Martinez in the session hall at about 4:18pm today, February 25, 2011 to break the good news regarding the Cityhood case of the City of Bogo and 15 other LGUs. According to the Mayor, a positive result came up in today's Supreme Court deliberation of the cityhood cases. This cityhood issue has been affecting 16 LGUs that almost brought down this LGUs to bankruptcy and affecting thousands of people who lost their jobs. Thousands of families were suffering from poverty and millions worth of projects halted. With the good news that came up today, this is a good sign that God is working with us to bring justice to the people who became the victims of this roller-coaster ride. The 16 LGUs who will be benefited with this good news are Baybay in Leyte; Bogo, Carcar, and Naga in Cebu; Catbalogan in Western Samar; Tandag in Surigao del Sur; Borongan in Eastern Samar; Tayabas in Quezon; Lamitan in Basilan; Tabuk in Kalinga; Bayugan in Agusan del Sur; Batac in Ilocos Norte; Mati in Davao Oriental; Guinhulngan in Negros Oriental; Cabadbaran in Agusan del Norte; and El Salvador in Misamis Oriental. The said good news will be published in detailed in this website later. Watch for it. 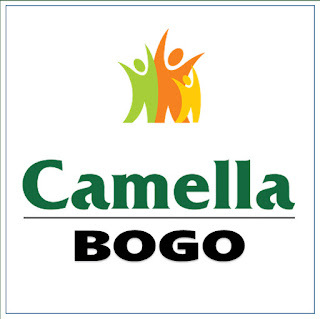 LONG LIVE CITY OF BOGO!! !